The option to only use a 2G signal has been removed from the OS so there's no way to save that battery life. Really not happy at all about that. I hope this benefits someone. If I had known I honestly wouldn't have brought the phone. 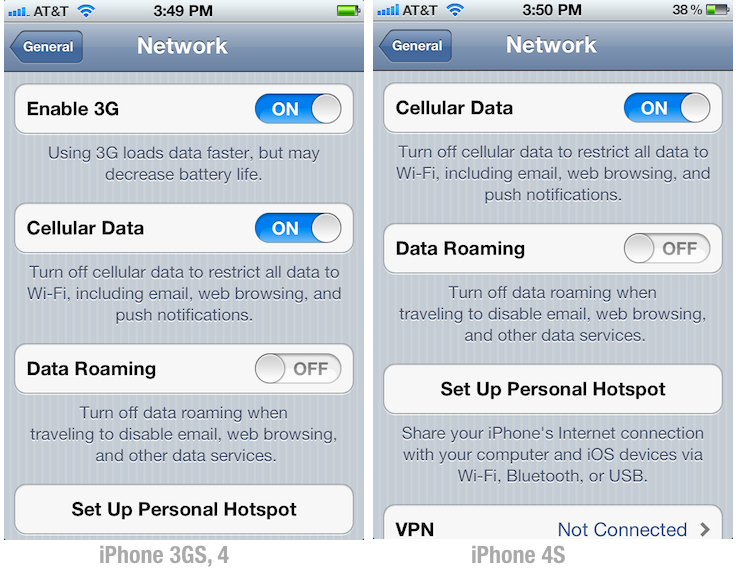 Keep in mind, this exclusion doesn’t mean iPhone 4S users in a 2G (Edge) only area cannot connect, because they can. Rather, now you don’t have the option to downgrade when 3G is available. We aren’t sure why Apple removed this option for the iPhone 4S, but kept it for earlier iDevices. 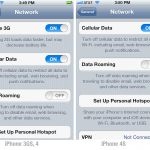 After all, the option remains on the iPhone 3GS and iPhone 4 even with iOS 5 installed. We thank Nathan for this tip. Updated: As some of our readers later told us, this feature was NEVER available on Verizon iPhones.